Microgrids are on the rise in the U.S., but not quickly enough for the millions in the Southeast who lost power this week – and continue to have none days later — following Hurricane Irma. Perhaps most poignant, Irma underscores what loss of electricity means to senior citizens, a potentially life-threatening situation when air conditioning fails in a tropical climate. Investigation is underway into the possible heat-related deaths of eight patients in a nursing home in the City of Hollywood where the temperature rose to dangerous levels. Other seniors are describing an inability to refrigerate insulin, recharge wheel chairs, plug in oxygen machines, or navigate flights of stairs without elevators – until the power is restored. 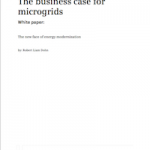 A microgrid, which typically has multiple power sources, keeps the electricity flowing during an outage by disconnecting from the damaged grid and using its own on-site generators, and possibly batteries, to serve nearby customers. 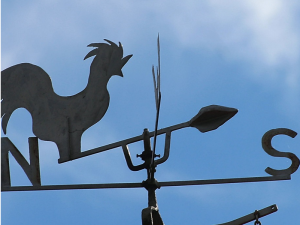 “Microgrids aren’t just convenient for extreme weather events, they’re critical,” said Justin Day, senior marketing program manager for Schweitzer Engineering Laboratories (SEL). For those who weathered Superstorm Sandy five years ago, Irma brings a sense of déjà vu with the vulnerable in jeopardy as simple back-up generators fail at critical facilities. A Pasco County, Florida hospital had to evacuate patients on ventilators this week, when back-up generators failed. Similarly during Sandy, when back-up generators failed at a New York hospital, critical newborns had to be evacuated down a dark flight of stairs, with medical personnel manually pumping air into their lungs. Editor’s Note: A back-up generator should not be confused with a microgrid. A more complex, automated technology, a microgrid typically offers multiple kinds of power, such as solar, batteries and combined heat and power. In addition, the microgrid typically runs all the time. Back-up generators, on the other hand, are used on occasion, so if they are not working, the discovery may not be made until the power goes out. After more than 8 million lost power during Sandy, some for more than two weeks, the Northeast began perhaps the most aggressive pursuit of microgrids in the nation. The Northeast’s wake-up call led to the creation of “community microgrids,” projects that focus on energy security for nursing homes, hospitals, emergency shelters, and other critical facilities. New York and Connecticut, alone, have committed over $100 million to developing community microgrids. It is safe to say that urgency to develop microgrids will likely heighten in the Southeast, a region that has been slow to adopt the technology compared with the Northeast and West Coast. Wiedetz envisions key stakeholders in the Southeast coming together to determine what distributed energy resources are needed – and where — to keep various groups of people safe. 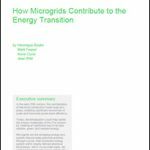 Microgrids may become part of broader strategies. For example, in some vulnerable regions it might make sense to transport groups of people to safer places, and create microgrids for those safe havens. Configuring distributed energy projects into microgrids will help maximize electric reliability and make the most of the investment, he said. By way of example, Wiedetz pointed to Blue Lake Rancheria project, a microgrid developed by Siemens, which is centered around a Red Cross shelter-in-place in Humboldt, California. “I do believe there will be an increased interest in microgrids as an improver for special locations,” said Troy Miller, S&C Electric’s director of grid solutions. At the same time, the Southeast’s path to microgrids is apt to be different, he said. This is largely because of the way utilities are regulated in the two regions. Many of the Northeast states limit the role of utilities to distribution of energy – not production – because of industry restructuring rules set two decades ago. As a result, competitive power markets have formed, which are orchestrated by independent system operators. In the Northeast microgrid development tends to be led by technology and energy infrastructure companies, unregulated utility affiliates, energy customers and government entities, like cities and towns. The Southeast, on the other hand, did not restructure its power markets. Electric utilities have a more dominant role, not only delivering but also owning generators and producing power. So in the Southeast, utilities are likely to play a larger role governing the path of microgrid development. “I do believe it will be led by the big utilities, primarily Florida Power & Light and Duke,” Miller said. Duke Energy will be particularly worth watching, given that the company already has made a vanguard play into the microgrid market. Through its regulated arm, Duke is developing microgrids within its service territory. And through its unregulated affiliate, Duke Energy Renewables, it is installing microgrids in other states. The southern utilities also are likely to come out of Irma facing less criticism than their northern counterparts did following Sandy. Customers and government officials had faulted some of the Northeast utilities for not properly modernizing their infrastructure in anticipation of a storm like Sandy. 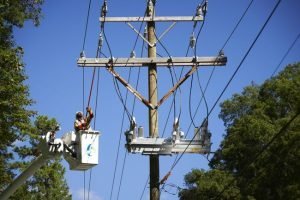 FP&L, however, which serves most of Florida, has invested $3 billion improving lines, upgrading systems, installing smart meters, and making other improvements. The utility’s efforts appear to be paying off. FP&L is restoring power at a pace roughly four times faster than it did after Wilma in 2005, according to the Department of Energy. The DOE also attributes the faster response to what it described as “unparalleled mutual assistance.” About 60,000 workers from nearly 250 utilities throughout the U.S. are helping. Of course, all of the modernizing in the world does little when transmission and distribution lines go down. As the storms keep coming, microgrids offer a way to keep the lights on, the AC running, emergency services electrified, and people safe. So may the lights come on soon in the Southeast, and may the microgrid planning begin. What are the prospects for microgrids in the Southeast post Hurricane Irma? Post your thoughts on our LinkedIn Group, Microgrid Knowledge.